Primarily used in "pick-and-place" applications. Used with vacuum cups for material handling where sealing is difficult and leakage is common due to uneven surfaces and porous material. 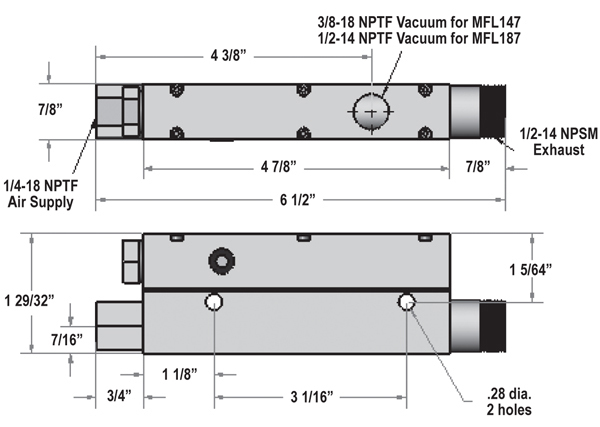 High initial flow rate allows vacuum cups to quickly attach to the surface.Due to its small size, the MFP Series is ideal for end-of-arm tooling. Replace larger single stage generators with mulitple smaller lightweight multistage generators. 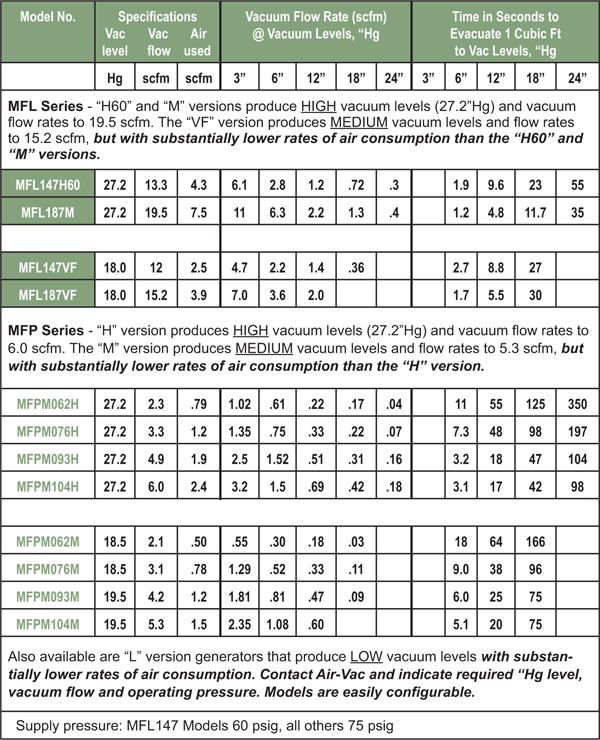 Vacuum levels to 27.2"Hg. 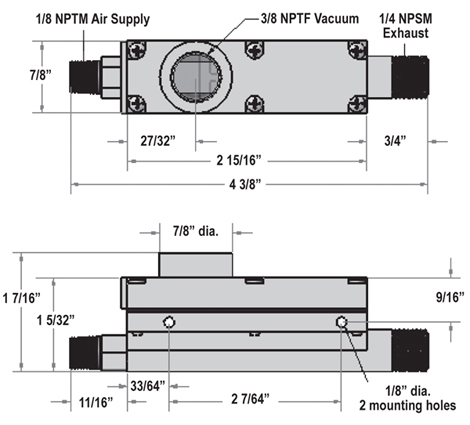 Vacuum gauges, mounting brackets, and mufflers available for both models. Rugged anodized aluminum body with a nickle plated brass air supply fitting. Weight = 11.5 oz. and can be installed close to the required vacuum location. Weight = 2.5 oz. 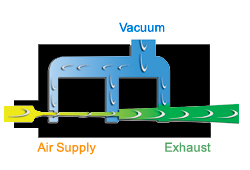 Energy from a single flow of high velocity air is used to maximum efficiency. Flow is forced through three venturi sections. Vacuum is created in three separate chambers. A common vacuum manifold connects to the three vacuum chambers. 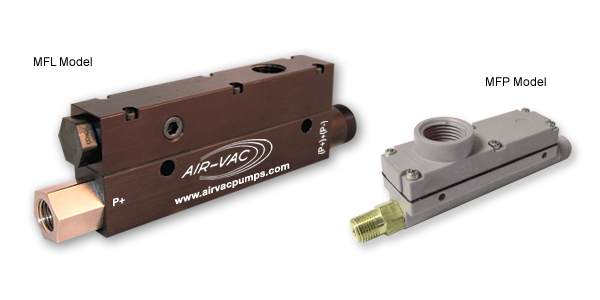 The result is high vacuum flow with low air consumption and fast evacuation. This results in a substantial reduction in air usage. 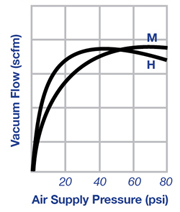 Substantial vacuum flow is developed at low operating pressures. • Initially the curves are very steep.